As US health care delivery continues its movement into the community, palliative care must be widely available and easily accessible there too. Currently, there is a tremendous gap in availability outside the hospital and the hospice settings – and that’s due to the lack of consistent and reliable payment for community-based palliative care. 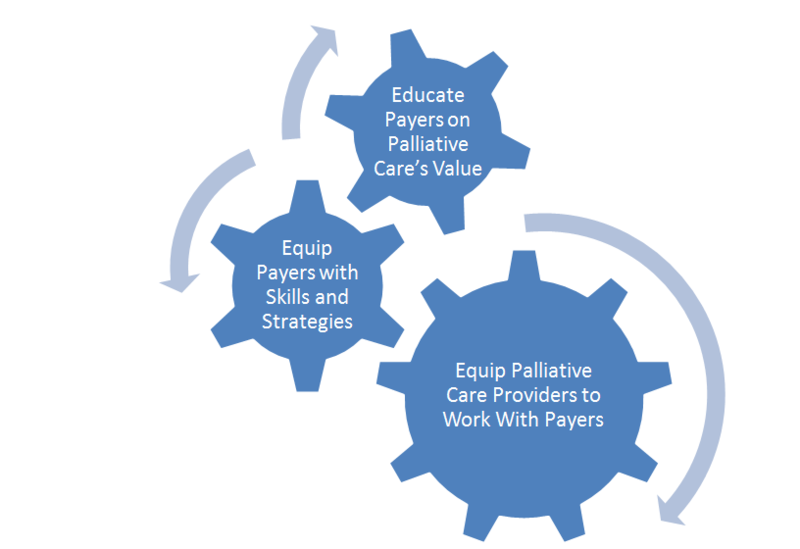 In response, CAPC is working on a three-part strategy that leverages palliative care’s value to ensure sufficient payment for community-based palliative care. In brief, this strategy entails: 1) educating health plans, risk-bearing providers, and population management entities – together dubbed “payers” – about the quality, satisfaction and cost benefits of palliative care; 2) equipping payers with the strategies, skills and tools needed to ensure access to palliative care for their seriously ill members and patients; and 3) equipping palliative care providers to work successfully with payers. This post discusses how this third leg (equipping the field to partner successfully with payers and other risk bearing entities) of the Payer-Provider Partnership strategy came about, and introduces one of CAPC’s main tactics. Like any new job, my first week at the Center to Advance Palliative Care (CAPC) was filled with reading. I read past CAPC publications and pivotal articles about the improvements that palliative care could produce – not only in symptom burden, quality-of-life, and experience of care, but also in reducing unnecessary utilization and total spending. I read Dr. Sean Morrison’s article on savings in acute care spending, Dr. Amy Kelley’s article on how hospice prevents crises and unnecessary ED and hospital use, and much more. It was clear that palliative care increased value; in fact, it’s one of those ideal solutions that reduce cost through increasing quality. I also learned about palliative care’s role in health plans and health systems. I had the privilege of speaking with both health plan leaders and palliative care programs operating within ACOs and other risk-bearing organizations. Here I began to identify both the successful strategies and the less successful ones. For example, collecting and using data was a foundational aspect of all successful programs – an imperative we featured in Palliative in Practice in July 2016 and included prominently in the Payment Primer: What to Know about Payment for Palliative Care Delivery. Yet I also learned about mistakes. Conversations with health plans revealed some of the mis-steps hospices took in negotiating for community-based palliative care contracts, and interviews with palliative care providers uncovered some misunderstandings within their own health system. Some of these mistakes included: using board-certified physicians as an advance care planning service; pricing a per-member-per month (PMPM) home-based palliative care service at the hospice daily rate times 30; or accepting inappropriate referrals to the point where program outcomes were compromised. On several occasions, I heard a hospice refer to their community-based palliative care program as a “loss leader” because the service was so unprofitable under fee-for-service reimbursement. 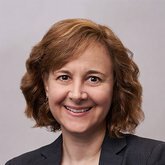 Calling community-based palliative care a “loss leader” simply did not compute, given the strong and consistent evidence of value (better quality resulting in lower cost). That value accrues to someone, and that means there should be a market for a means to capture it. The problem with the “loss leader” language was also particularly striking given the rapid growth in national community-based palliative care programs like Aspire Health, Landmark Health, and Turn-Key Health, along with the growing interest in serious illness solutions from health plans. While I mulled over this disconnect, new opportunities emerged. In July 2016, nearly 200 oncology practices across the US began operating under the Oncology Care Model, creating strong incentives to meet quality metrics and reduce avoidable utilization. Also, the Medicare Quality Payment Program (MACRA) rules were laid out, putting most clinicians who are billing Medicare at risk financially for both their quality and their costs, and adding fuel to the growth of alternative payment models. Value-based payment is here to stay, and as Dr. Diane Meier states, “value-based payment is the wind in our sails.” While value-based payment creates an opportunity to increase access to palliative care for those families who need it, we won’t be able to take advantage of this opportunity without ensuring that those who work in the field are able to price services accurately and reliably manage everyone in the high need population who is appropriate for palliative care services. This is where the CAPC Payment and Contracting Accelerator (the CAPC Accelerator) comes in. With generous support from the Gordon and Betty Moore Foundation and the Allen H. and Selma W. Berkman Charitable Trust, CAPC is creating a mechanism to bolster that capacity. First, the CAPC Accelerator seeks to ensure that palliative care programs can find payment partners in their local area and structure their programs in such a way as to meet the demands of those partners – in other words, helping palliative care programs to avoid the mistakes we’ve seen others make. Second, the CAPC Accelerator seeks to “even the playing field” between the sides at the negotiating table when contracts between payers and providers are hammered out. While health plans and health systems have teams of lawyers and experts in actuarial and financial analysis, many palliative care programs lack the basic knowledge that those experts bring. Because of the intensive nature of the Accelerator, participation is limited in this first year to 25 programs: click here for the application and for more information. For the CAPC Accelerator’s inaugural class, we are looking for programs that are willing to help us shape and improve the Accelerator by providing detailed feedback on the experience and then sharing your program’s experiences with partnering and contracting with payers and risk bearing entities in your local community. In return for helping us refine the product, the full year of Accelerator participation is FREE for these early participants (except for travel expenses) for your program’s Clinical leadership as well as your organization’s leads on financial management and contracting.